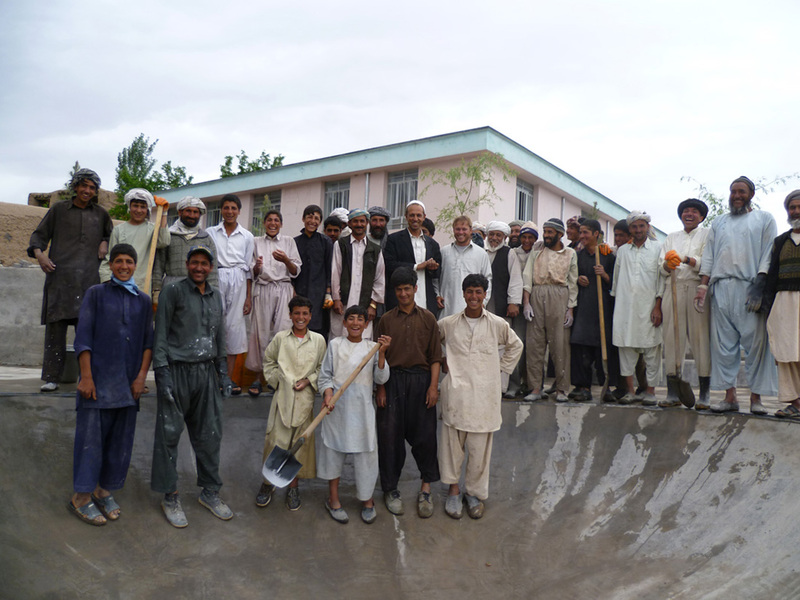 The “8th World Wonder” in Afghanistan, people saw coming towards them: The first concrete skatepark with additional sport facilities in Karokh has been completed. 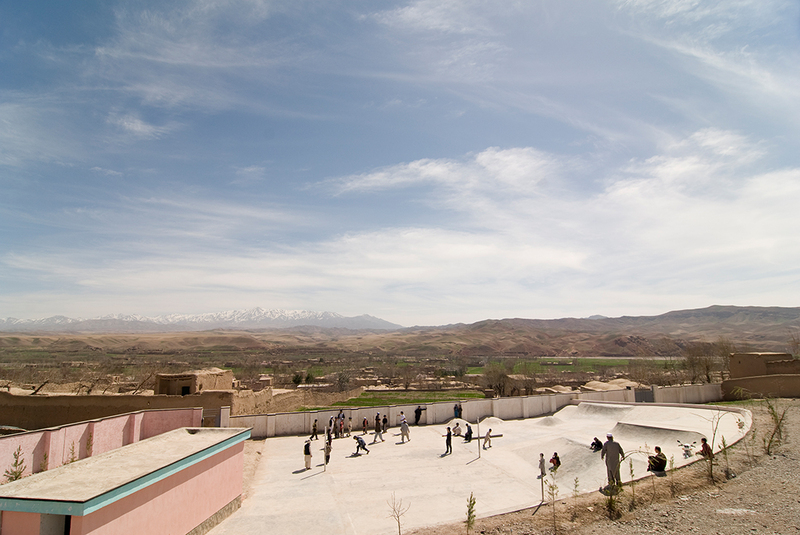 In cooperation with Skate-Aid and Dr. Rupert Neudeck (co-founder and chairman of the International Peace Corps ‘Grünhelme e. V.‘) a concrete park at a school for 7500 students in Karokh, Afghanistan, was completed in April 2010. In the last five years the “Grünhelme” have managed to build 18 schools in this district (in total the province of Herat now has 31 schools!). With these schools a nationwide school system was created for more than 20,000 girls and 20,000 boys. So far none of these schools are closed or destroyed by the Taliban (or other). The Taliban were never welcome in the district of Karokh. And for that the people are proud. 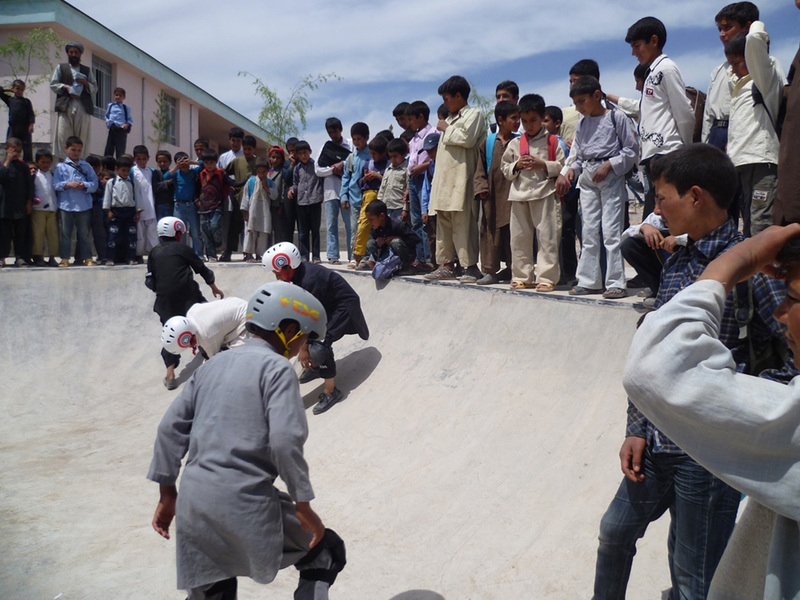 As Rupert Neudeck and the entrepreneur Titus Dittmann came over to Herat in April 2009, we wanted to test the interest of the children for skateboarding first. Hardly anyone knew the word skateboarding at the time. Few people had never seen such a “mice-car” (like the janitor in Karokh said). But after the first test runs, none of the children wanted to get down from the skateboard. The concrete park has now been completed. Marc Zanger (Skate-Aid activist) and Zubair Akhi (civil engineer who studied in Germany) have succeeded to built this “8th World Wonder”. Marc Zanger was also there to teach during breaks and sports lessons. The skateboard has another advantage in Afghanistan: It is not a “gender biased”. So the young girls can play with the “mice-car” as well, because they are usually forbidden to play anything else (ball games or cycling).